Practitioners associated with Form 5500: Have you met your peer review requirements? Note: The following article is reprinted with permission from the “CPA Now” blog, a publication of the Pennsylvania Institute of Certified Public Accountants. The AICPA is working on an initiative to make sure that all firms associated with certain Form 5500 filings that are required to have a peer review have gone through with the peer review and that the scope of the review was correct. 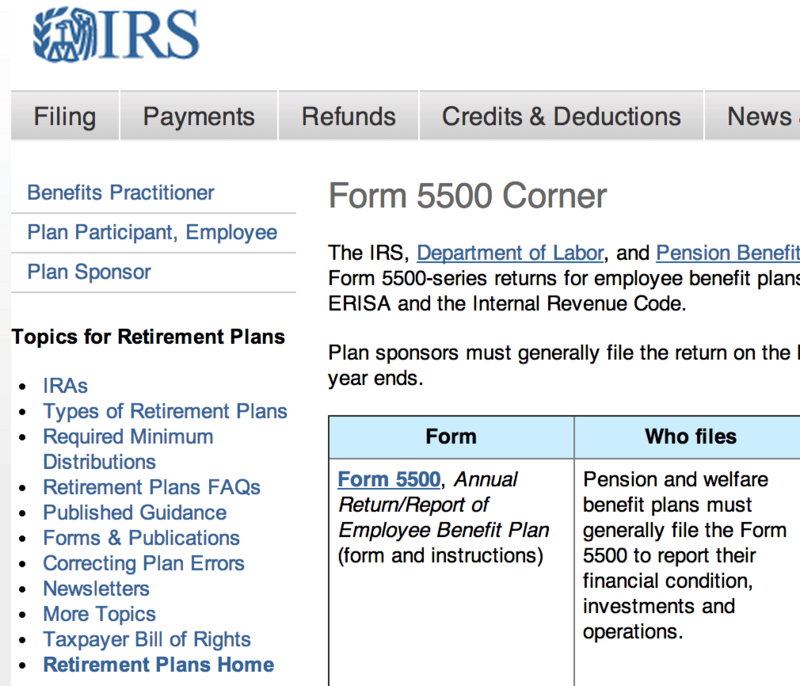 So, if your firm has been associated with filing certain Form 5500s, you need to consider whether your firm is in compliance. If your firm rendered an independent auditor’s report on an ERISA plan, even if a disclaimer of an opinion was issued, your firm is required to have a system review. If your firm previously had an engagement review only, the firm will need to have a system review completed. Firms that have already had a system review need to verify that the scope of the peer review was appropriate. Specifically, if your firm issued an ERISA audit on financial statements with a year-end falling within the scope of the peer review year, the peer reviewer should have reviewed an ERISA audit. In that case, the scope section on the peer review report should indicate that the peer review covered an employee benefit plan audit (i.e., “as required by the standards, engagements selected for review included audits of employee benefit plans.” PRP1000.209). In cases where the nature of the peer review or its scope was not appropriate, peer reviewers are required to consider the peer review recall guidance. Recall guidance can be found in the Report Acceptance Body Handbook PRP 3300, starting at page 3,346. Under these circumstances, firms should work with the reviewer and consult the MACPA peer review team to determine the appropriate course of action. If the peer review report and acceptance letter are recalled, your firm may have to re-engage the prior peer reviewer to perform additional work to update the peer review or engage another reviewer to perform a new peer review. The nature of the required follow up actions depends on the timing of the recall and other facts and circumstances. Firms will also be notified of their responsibility to contact regulatory agencies that the peer review documents have been recalled. Keep in mind that as the 5500 filings are now online through the DOL’s EFAST2 system, compliance with peer review requirements is becoming easier to verify. Ultimately, it is in your firm’s best interest to make sure that all engagements are properly included in the scope of the peer review. If you have any questions regarding the peer review requirements, please reach out to Mary Beth Halpern at (443) 632-2330.